After an abysmal summer for Hollywood in terms of its return on investment, and for moviegoers in terms of quality films, it seemed that Blade Runner 2049 might be the blockbuster hit to reverse the course of the year’s cinema. Despite huge financial expectations from Hollywood, the movie, at least preliminarily, has not delivered. 2049 most certainly reached the expectations that critics had in the context of the original Blade Runner. Unfortunately, the best and worst cinematic tropes from the original remain in the sequel. The decision to have Denis Villeneuve direct the film might not be a draw for the general film audience, but for cult fans and film nerds, Villeneuve was key. With Sicario and Arrival, Villeneuve firmly established himself among the likes of Christopher Nolan as a director who is able to deliver substantial ambitions, philosophical and otherwise, to the masses. I had faith that a film world I loved would not be defiled with inappropriate creative decisions. By having not just critical but also commercial success, Villeneuve’s triumph could signal to studios that audiences are not satisfied with the unthinking garbage produced in Michael Bay’s testosterone-fueled dreams. In effect, studios would produce more intelligent and thought-provoking works of art. Philosophically, 2049 is an anomaly among high-budget Hollywood action behemoths. In the vein of its predecessor, 2049 addresses the central and crucial philosophical questions of modern life. From start to finish, the movie incessantly returns to dialogue about each character’s relationship to living an authentic life. As holograms look for love, as replicants search for meaningful lives, as humans trapped in bubbles create memories, viewers are given constant visual cues that remind them of this central theme. Such heavy questions could drive an entire movie, yet the movie uses its full running time (2 hours 43 minutes) to also ask the viewer even more questions about the nature of souls, bodies, and free will. Additionally, 2049 returns to address similar themes about social and economic hierarchies that are present in the original. Disappointingly, the way these themes are addressed is comically problematic. For instance, in one scene where the protagonist, K (Ryan Gosling), is in a serious conversation with his boss, Lieutenant Joshi (Robin Wright), she bluntly tells him that he lacks a soul. A moment like this could resonate with any member of the audience who has ever had to experience racism, sexism, transphobia, or other such prejudices from a superior. This scene could have been much more meaningful had any person of color (POC) been given a major role that was not equivalent to a sexual object. The only POC with more than one scene is Ryan Gosling’s digital girlfriend, Joi. Furthermore, the sexual relationship that develops between Joi and K is a reminder of the fact that Rick Deckard is depicted as sexually assaulting his love interest in the original. If the audience is able to look past some of the film’s highly questionable thematic decisions, 2049 has wonderful visuals. Keeping a consistent aesthetic with its predecessor, 2049 expands the presence and understanding of the universe with great beauty. In addition to the rain-filled, bleak vision of a future Los Angeles, there are beautifully composed shots of the nuclear fallout in Las Vegas and the serenity of a quiet farm. These shots consistently flow out of the world that audiences can remember from the original film in 1982. Ultimately, any given frame from this film could be screenshot and turned into a desktop wallpaper background. 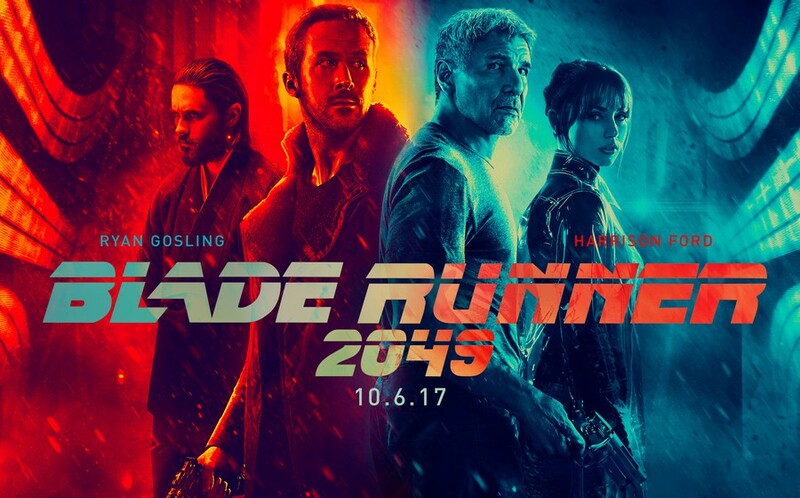 The stunning visuals, the intense philosophy, and the consistency with the already established universe of Blade Runner are all that could have been hoped for with this sequel. Perhaps because so much exists in this movie that I love, the glaring flaws flash more brightly than they do in other films. Even so, if you only see one movie in theaters this autumn, you cannot do any better than Blade Runner 2049.